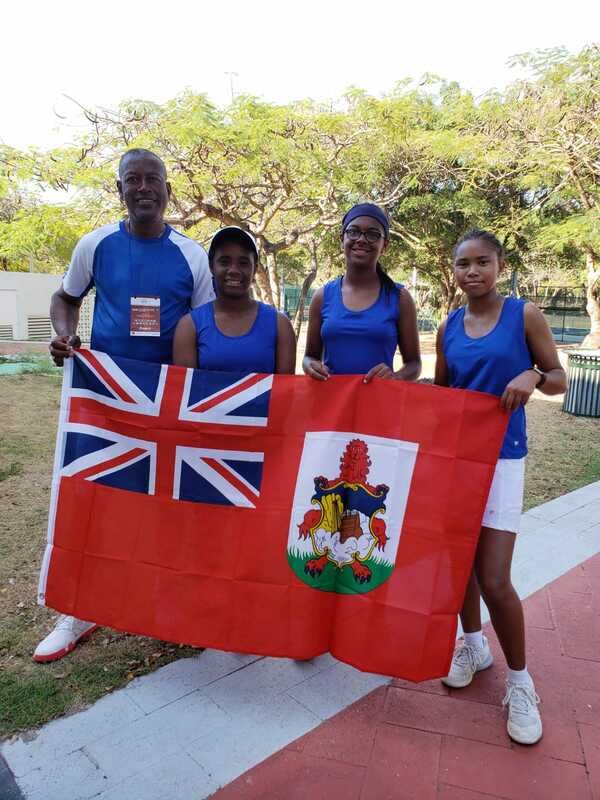 Day Five of the 2019 World Team Junior Tennis Girls North/Central America & Caribbean Pre-Qualifying Tournament going on in the Dominican Republic saw the Bermuda Under 14 Girls team of Jae Gibbons, Asia-Leigh Hollis and Kumani Jackson back in action for the third time. The Bermuda Girls would take on Trinidad & Tobago in their Play-off 9 - 13 match and they would go down 3 – 0. Gibbons would go down in straight sets 6-1, 6-0 to Charlotte Ready in a 54 minute battle. Hollis would also fall in straight sets, she would go down to Ella Carrington 6-0, 6-0. Gibbons and Jackson would go down 6-0, 6-0 to Carrington and Zara Ghuran.